For people who would like to explore both the land and the sea during their vacation, consider visiting sunny Florida and taking a road trip all the way south to Miami, the “Cruise Capital of the World.” Once in Miami, you can hop on a cruise ship to the Bahamas or the Caribbean. If that sounds like your cup of tea, here’s a road trip itinerary for your consideration. A great place to start your road trip is in Tallahassee, the capital of Florida. There are plenty of parks and museums to visit in Tallahassee. One popular park is the Alfred B. Maclay Gardens State Park. Within the park you’ll find three lakes, botanical gardens, a historic house open for tours and several recreational activities such as bicycling, boating, fishing, hiking, swimming and canoeing. If you’re in the mood for a good museum, check out the Tallahassee Antique Car Museum, home to plenty of rare and unique vehicles such as the Batmobile from the movie Batman Returns and the horse-drawn hearse from the 1800s that carried Abraham Lincoln’s body. 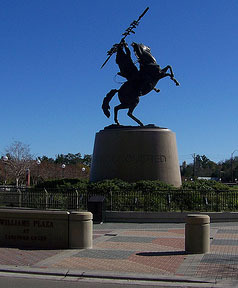 Tallahassee is located right next to the Interstate 10 highway. This is rather convenient, as you’ll be driving down that highway for a good three hours to your next stop in Jacksonville. Jacksonville is a popular destination for golfers; with 72 golf courses within the city, it’s a golfer’s paradise. If you would prefer to shop rather than golf, then check out the Jacksonville Landing located on the Jacksonville Riverwalk. One of the most recognizable attractions in Jacksonville is the Friendship Fountain, also located on the Jacksonville Riverwalk. 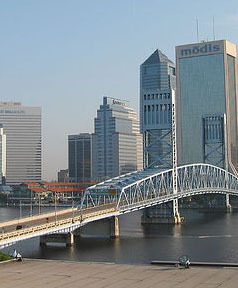 After leaving Jacksonville, you’ll drive down the coast on the Interstate 95 highway. There are plenty of cities located near this highway including Palm Coast, Daytona Beach, Port Orange, Titusville, Palm Bay, Port St. Lucie, West Palm Beach, Pompano Beach, Fort Lauderdale and Hollywood. One city you should definitely check out is Daytona Beach. As the headquarters for both NASCAR and the Grand American Road Racing Association, Daytona Beach is a motorsport paradise. There are several sports car races held throughout the year including the world-famous Daytona 500 race in February, the NASCAR Coke Zero 400 race in July and the 24 Hours of Daytona endurance race in January. Another great city along the Interstate 95 that sports fans will enjoy is Port St. Lucie. During spring training, you’ll find the New York Mets in Port St. Lucie. Port St. Lucie is also home to the St. Lucie Mets Florida State League team and the Mets rookie level team in the Gulf Coast League. You can watch these teams play at the Digital Domain Park. After leaving Port St. Lucie, it’s another two hours before you’ll hit Miami. Before you embark upon a cruise from the Port of Miami, take some time to explore Miami. 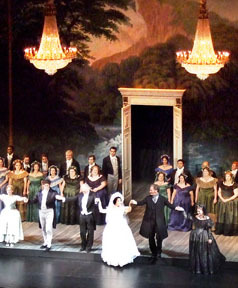 Of note to people interested in the performing arts is the fact that Miami became home to the second largest performing arts center in the United States when the Adrienne Arsht Center for the Performing Arts opened in 2006. The Arsht Center is home to the Florida Grand Opera and the Miami City Ballet, and the New World Symphony plays here quite often as well. After you’ve enjoyed Miami for a few days it’s time to hop on that cruise ship and head off for more fun. Mark Waine, the author of “A cruise and a road trip in sunny Florida” is a Florida borne travel blogger.